And it’s not even funny. What are they, against bikes? Against metering? Looks cool. 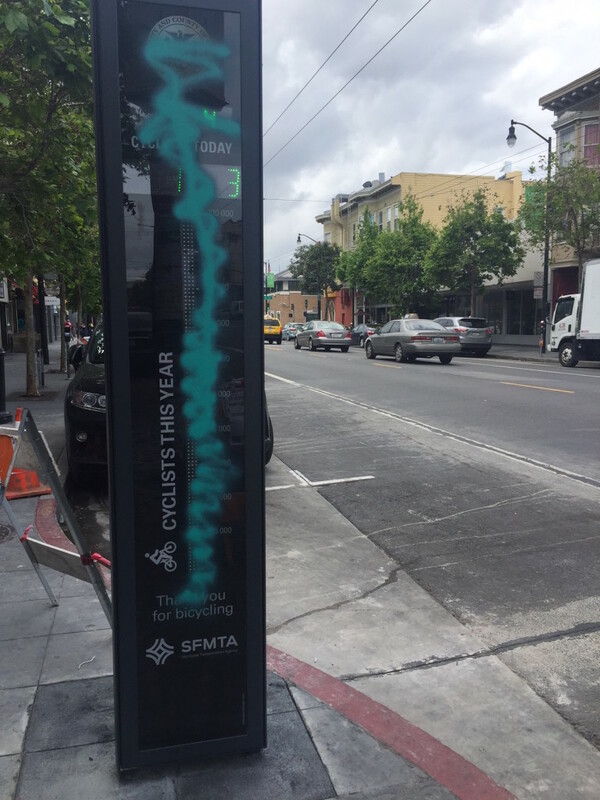 Bike to Work Day is coming up on May 12th btw. 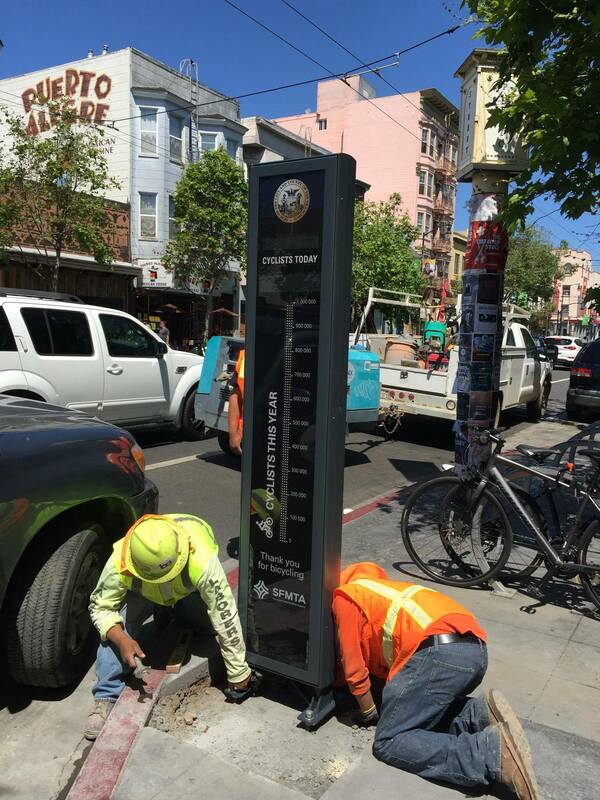 Bay Area Bike Share is finally expanding to the Mission! I’ve gotta renew my membership! See the whole map here. 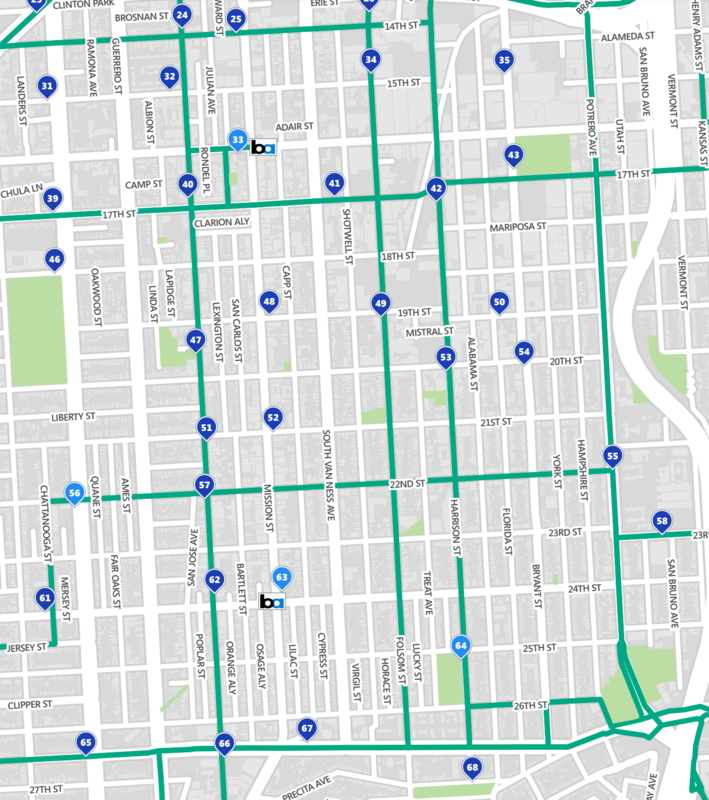 Bay Area Bike Share is coming to the Mission!!! Rob and Lauren, formerly of the band He’s My Brother, She’s My Sister (not actually brother/sister but yes actually husband/wife) have a new project called KOLARS. They’re stopping by Mission Bicycle Company for an intimate acoustic show tomorrow before their sold-out Independent gig on Saturday. Free beer courtesy of New Belgium Brewing. Friday 3/18. Doors at 7:30, show at 8:00. Limited tix available online and at the door. 766 Valencia, between 18th and 19th. 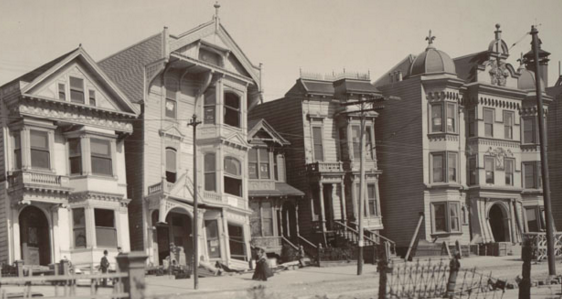 If you have any curiosity, at all, about the 1906 Earthquake (especially a morbid one), the Mission District is probably the most interesting place to look. 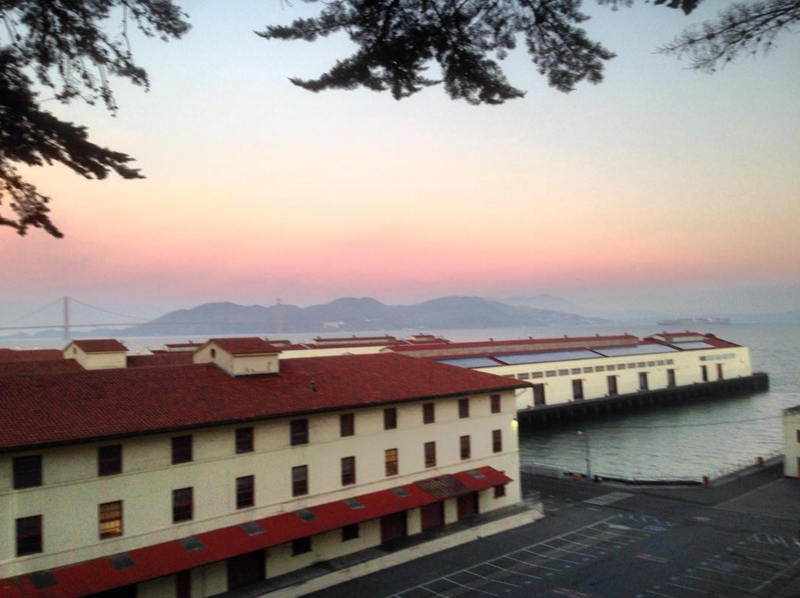 Here are the top 3 reasons history nerds should take a closer look in the Mission. Turns out that when you fill a marsh in with sand and debris, build lavish 3 & 4 story buildings on that sand and debris, then shake the ground for half a minute, those buildings pretty much sink right down into the ground. Sinking buildings were built over what was once lake or marsh. 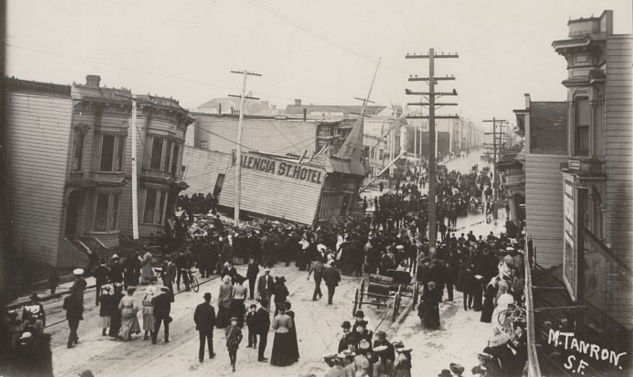 Guests on the 4th floor of the Valencia St. Hotel (top) simply stepped out of the window onto the street. Those sleeping on floors 1-3 weren’t so lucky. Most of the buildings destroyed by the earthquake were wiped out by fire. But this block of victorians on South Van Ness (below) survived 3 days of fires to become a tourist attraction. South Van Ness between 18th & 19th. 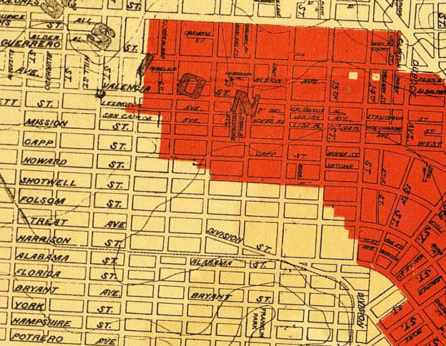 The blocks in red were leveled by the fire that spread from downtown. The fires burned out in the Mission leaving a dramatic contrast between prosperity and homelessness (just like today! ), thriving commerce and total annihilation (just like today! ), Victorian architecture and Edwardian. Walk down 20th street from Dolores Park to Valencia paying attention to the architecture on the North side (post 1906) vs. the south side (pre 1906). 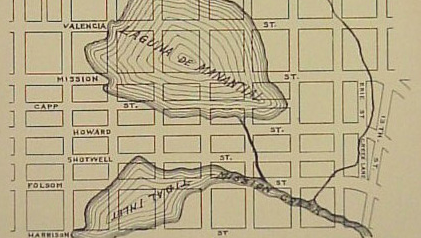 Much of the commercial hub in the Mission District survived. 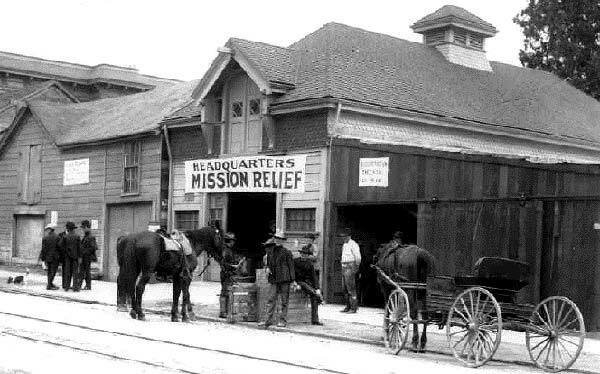 There weren’t many places left in the city that you could buy anything so thousands flocked to the Mission for goods and services in the days, weeks, and months after the fires. At the corner of 20th and Church remains one of the few fire hydrants in the city that was functioning after the city’s water mains had burst. This hydrant is credited for helping stop the fire for pushing forward and is painted gold on April 18th each year. Dolores was also the temporary home for some of the quarter of a million refugees (more than half of the city’s population). A handful of these Army built earthquake shacks remain in the city. 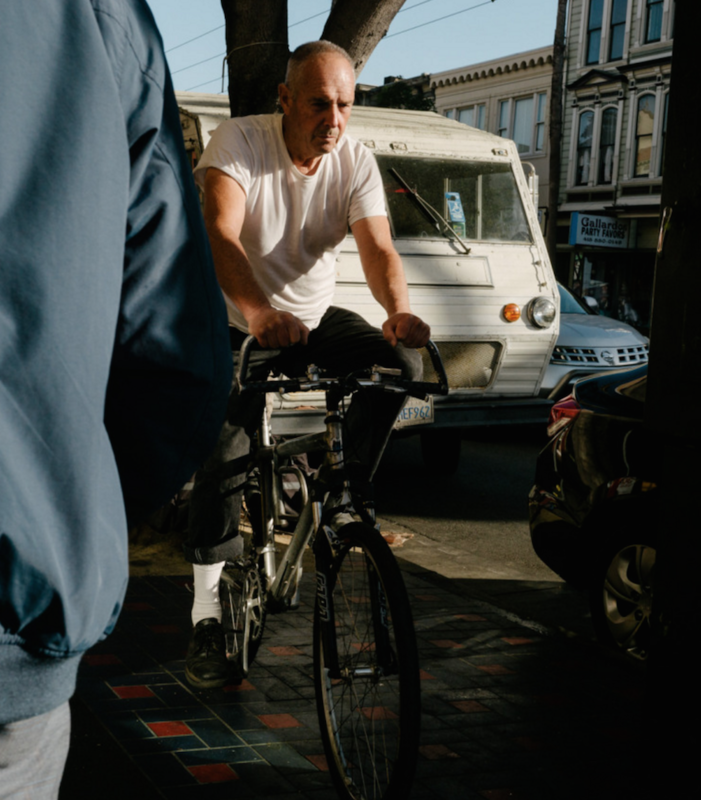 Next week Mission Bicycle Company begins hosting 1906 Earthquake bike tours which include a theatrical simulation of the 46 seconds of the earthquake, 10 stops with before and after pictures, little known stories, a few surprises, lunch and a rental bike (more info). The legendary Bike Basket Pies pie bike is for sale! I’m parting with my custom built bike. 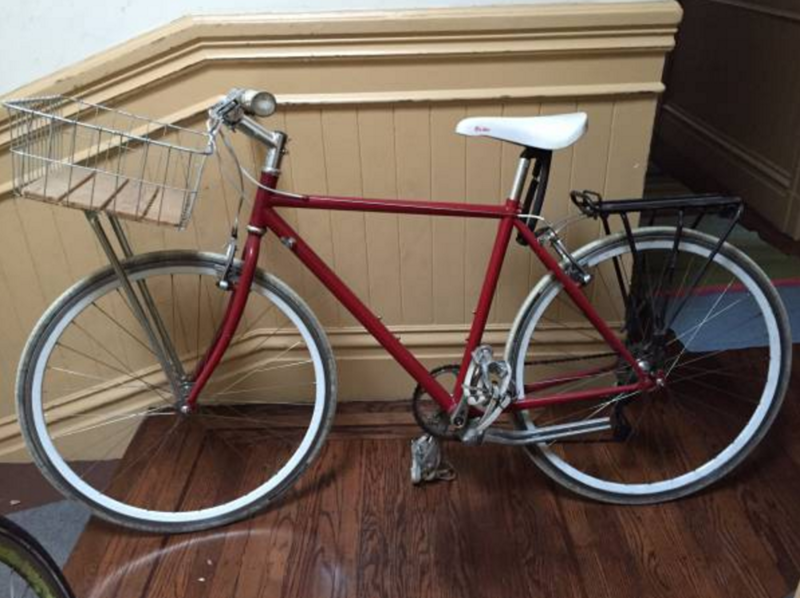 This bike and I went on a lot of rides together, to the farmer’s market, to Rainbow, delivering pies, you name it. It is a pleasure to ride and it is in really good condition. Sadly I am leaving the country. Having shuttered my business years ago, this bike has been chilling out, unridden, for a couple years (until yesterday). So I’ve decided to sell it instead of store it. Additionally this bike is outfitted with a Wald basket with wooden base, a ToPeak Explorer rack, a double kickstand that lifts the back wheel up (the basket is too heavy to have a leaning kickstand) and pinhead locks on the wheels and I will give the buyer the original and only key. Plus I can throw in two orange ortlieb’s to attach to the rack. Read on for lots more pics. Bike Basket Pies afternoon pie pop-up! 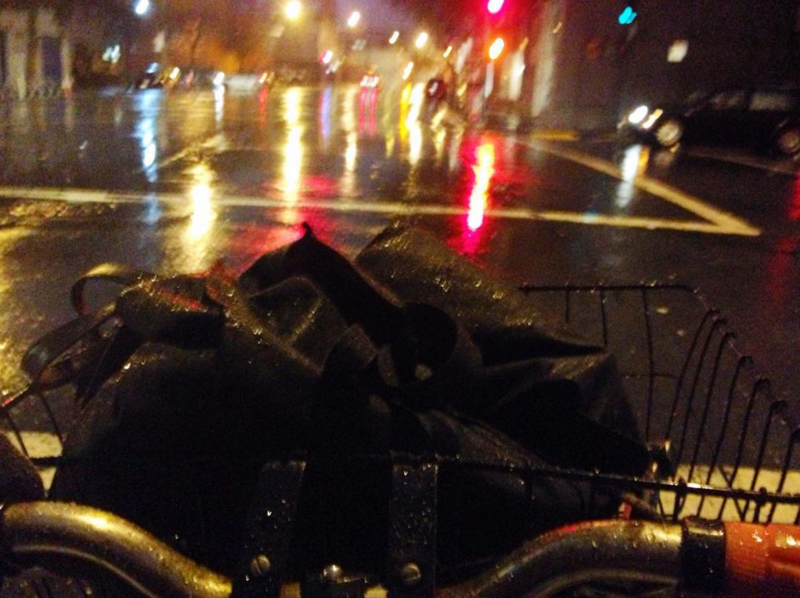 Bike Basket Pies returns to the Mission for one night only!